I have recently reviewed a number of discount fuel contracts, usually for jet aircraft, and imbedded in them is a surprise about which most owners and their pilots are completely unaware. Every one of the contracts I read require the aircraft owner to release, indemnify and hold harmless not only the discount fuel company but also the FBO who supplies the fuel from everything, whether negligence or not and regardless of the consequences. So if an FBO mis-fuels your aircraft or puts fuel full of contaminants in your airplane and you crash, you will be surprised, no doubt posthumously, that you have voided your insurance coverage by agreeing to relieve the FBO of any responsibility and on top of that have no remedy against either the FBO or discount fuel company. 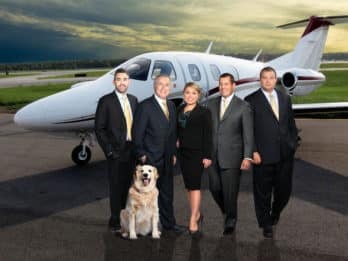 What’s worse is the hold harmless provisions also make you liable for the FBO or discount fuel company’s attorneys’ fees. That could run into the millions of dollars and that won’t be covered either. Oh, and in case you haven’t thought of it, the release, indemnity and hold harmless also means that when the fuel truck takes your right wing off on the ramp, you have agreed to release, indemnify and hold harmless the discount fuel company and FBO for that too. When your insurance company gets wind of the contract you signed, without asking whether it wished to assume the release, indemnity and hold harmless you agreed to, the first notice you get will be a declination of coverage. I brought this to the attention of a certain aircraft owners and pilots group who were touting the benefits of the discount fuel deal and all of them hadn’t ever read the contract they signed nor had they sent it to their insurance companies to incorporate into their policy as contractual liability. None of them cancelled the contract either. Be assured that when the sad event occurs, they will be the first to complain. Aircraft insurance is not like the one on your car. It has lots of provisions that can trap an aircraft owner into no coverage. This one is easy. No contract to save a few cents on a fuel purchase is worth the loss of coverage.